Some architectural elements like unusual curves and angles, unconventional room entrances and windows prompt unusual interior design. Some elements can be brought into a conventional home as well. 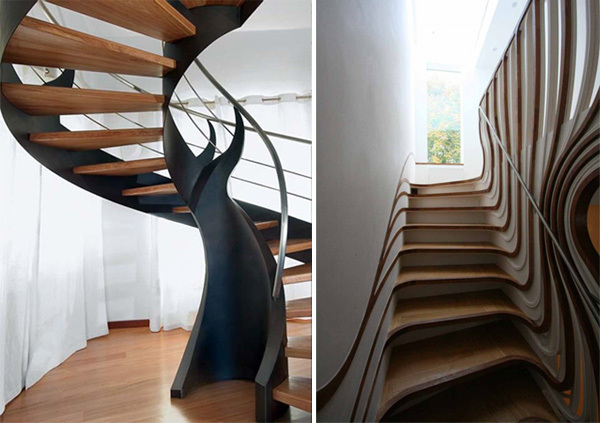 Like, for example, an unusual and creative stairs. 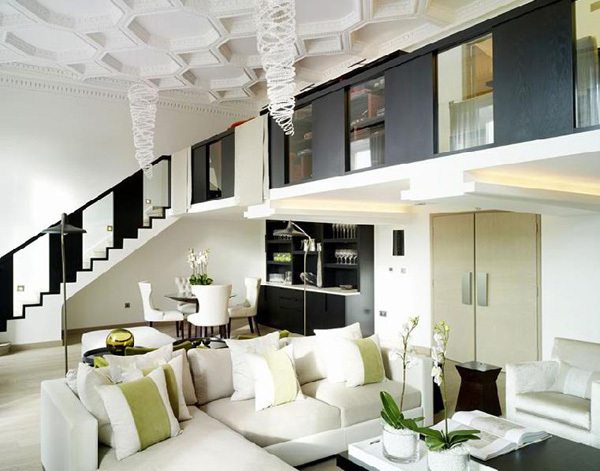 Ceiling or floors don’t necessarily have to be conventional. We’ve already discussed creative wall decor but there are also ways to decorate the ceiling and floors in an unusual way with custom moldings or creative tiles. Even wood floor coverings like these can add unusual touch to the decor. Water wells like fountains and swimming pools are common for outdoors. Gardens benefit from the elegant fountain view while the outdoors swimming pool prompts sunbathing and leisure in the open air. 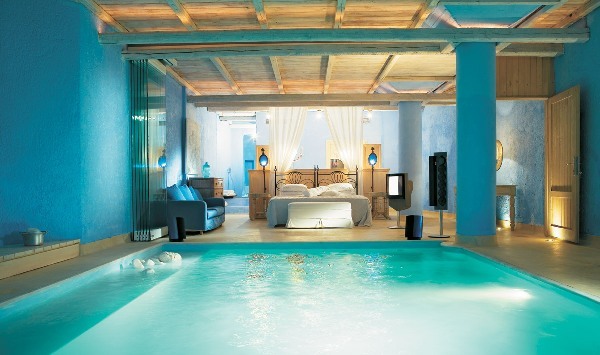 The indoor water wells are rare and do not come cheap as well but they can too make the interior look unique and unusual.